I was in our garage one day when out of the corner of my eye I noticed splashes of bright green. We were getting ready to head off to trek the Larapinta Trail in the Northern Territory of Australia and our garage had become the gear collection place prior to our trial pack. 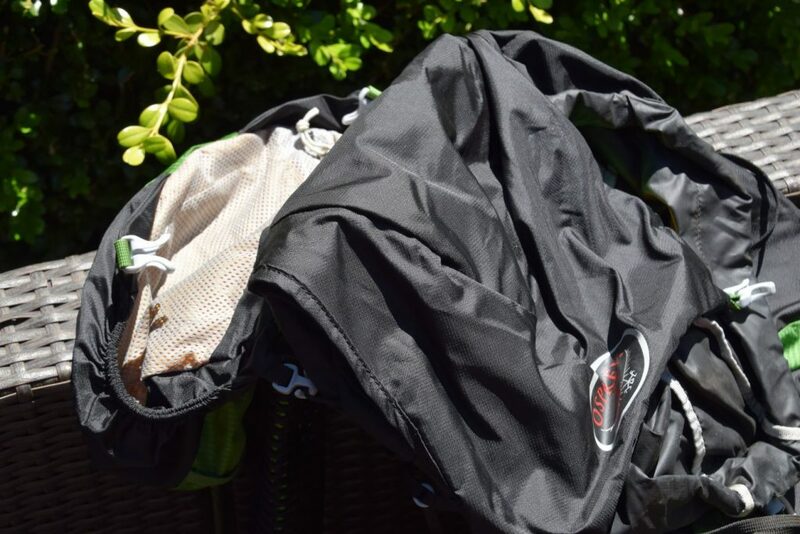 I investigated the colour and discovered my husband had purchased a new pack – an Osprey Exos 48 Litre pack in Basalt Black. I shouldn’t have been surprised by this but I asked Tim why, and his response was ‘I wanted a lightweight pack’. Hmmm….’What about me?’ I ask. ‘Oh, I thought you were OK with your pack’. Thank you, Tim, but maybe I would want a lightweight pack too! I watched Tim on the Larapinta Trail carry the same or less weight than me using his Osprey Exos and we even met a young couple on the Trail both of whom were using the Exos. It made me a little grumpy so when we were preparing for the Overland Track in Tasmania, Australia in February 2017, I thought I’m going to get an Osprey Exos pack too. 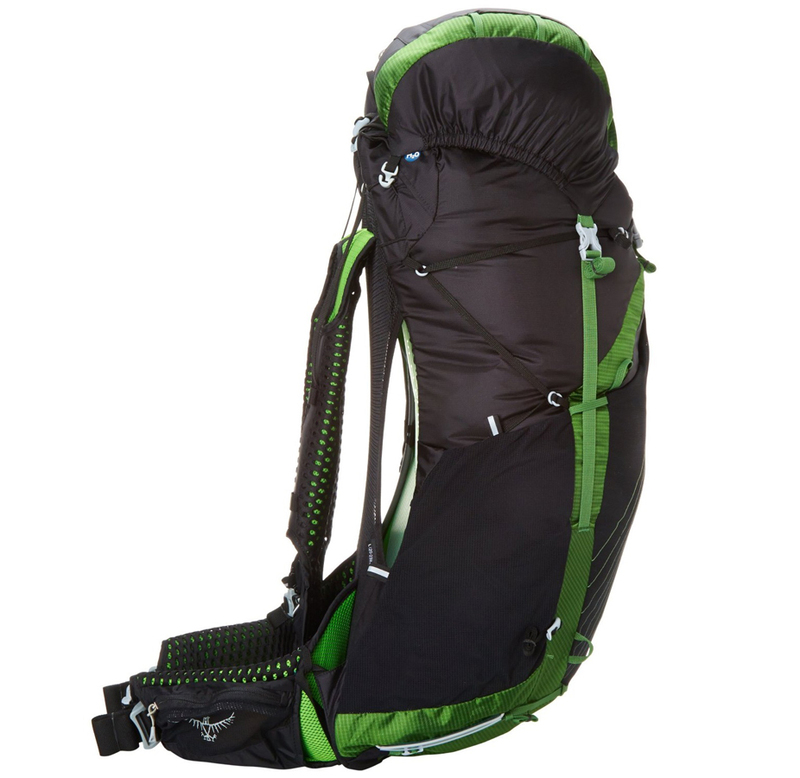 I opted for the Exos 58 Litre pack also in Basalt Black – which is essentially black with bright green trim (but this pack also comes in Pacific Blue). And I am very happy. 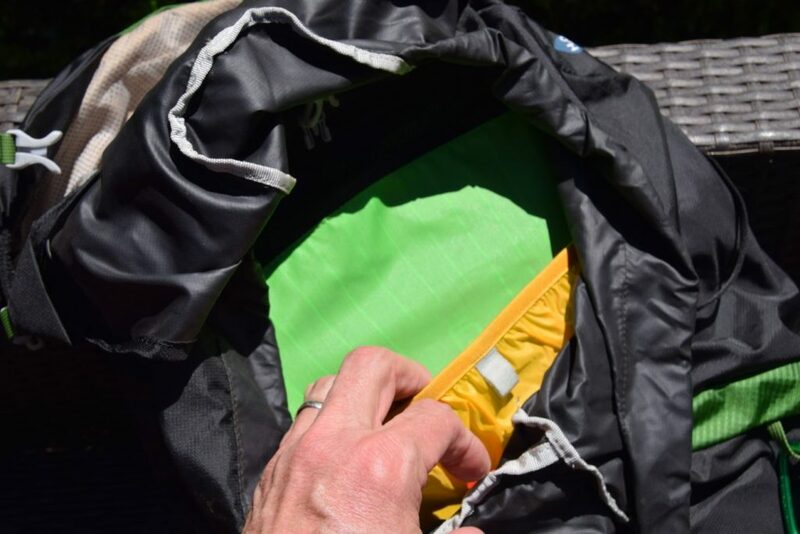 This pack doesn’t look like a standard pack – everything about it is parred down. From the fabric to the harness to the straps. And while the general guidance for fit and adjustment are still relevant, to get best out of this pack you’ll need to follow Osprey’s measurement guidance and then trial and adjust the pack in hiking situations. Once you’ve got the carrying weight and adjustment ‘just right’, you’ll be amazed at the comfort, fit and hiking endurance you’ll attain. 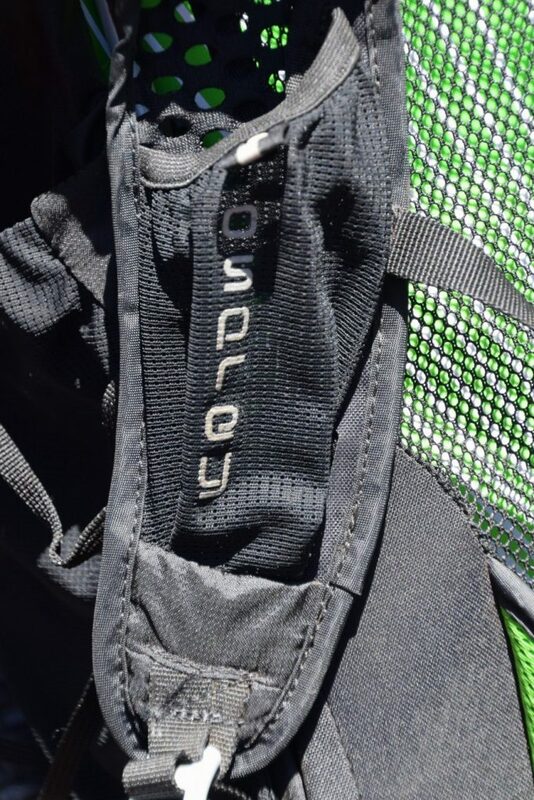 The Osprey specifications describe this pack as a ‘top loading technical backpack designed specifically for superlight backpacking and thru hiking endeavours’ and is used by ultralight hikers on long hikes in the US such as on the Appalachian Trail. 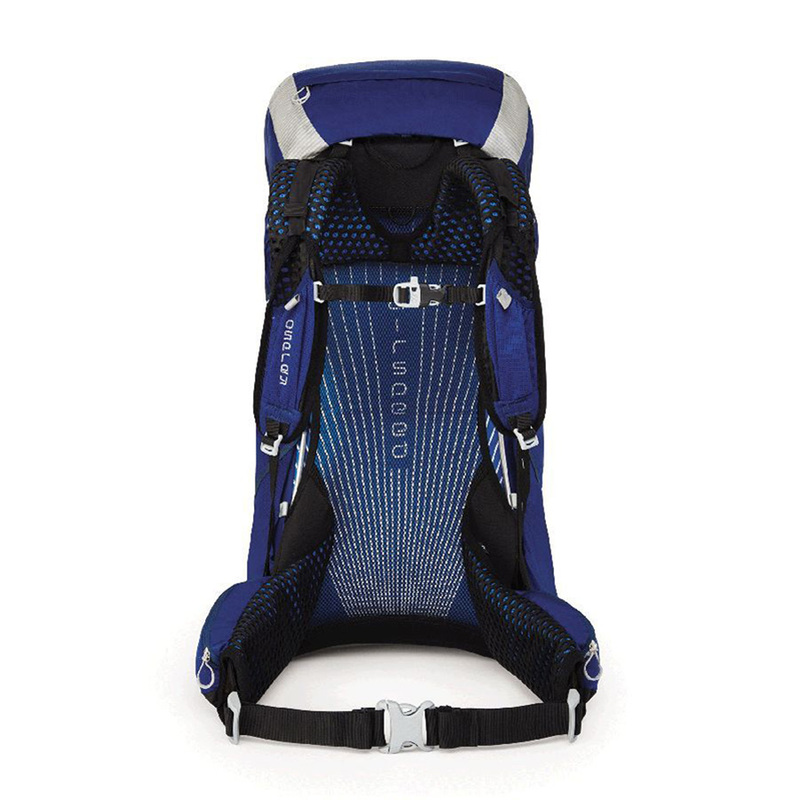 Osprey has greatly improved the Exos in recent years and it now features Osprey’s AirSpeed suspension, torso-specific sizing and improved harness and hipbelt. The Exos is now made from lighter weight materials, and has several removable features such as the lid, key straps and attachment points which all contribute to the ability to customise and manage your pack weight. 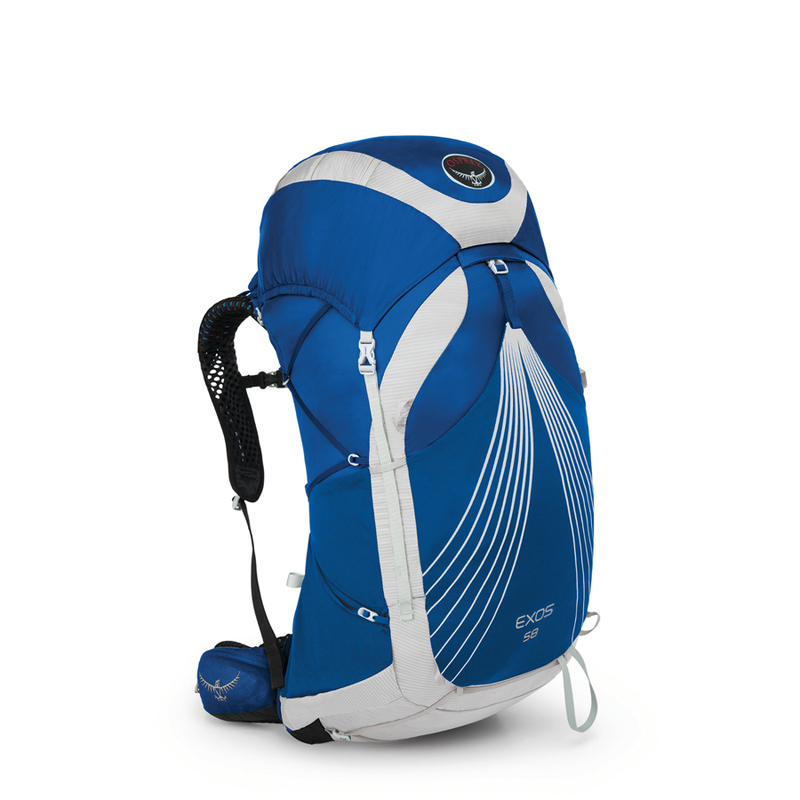 Osprey emphasises on its website that getting the fit right is the key to getting the performance of this pack. This requires you to measure down the length of your spine to get the right harness size – this task is explained well on the Osprey website – and then you select the carrying capacity you need. Osprey make this pack in three versions the 38,48 and the 58. These numbers relate to the capacity in litres of the pack for the medium size. You do need to choose the correct pack size for your frame to get the most comfort out of them. The width of the packs is pretty consistent across the range. The pack length will get shorter with the different sizes age small, medium and large. The real difference is in the pack depth and this is where your choice of pack between one size and the other will come in. 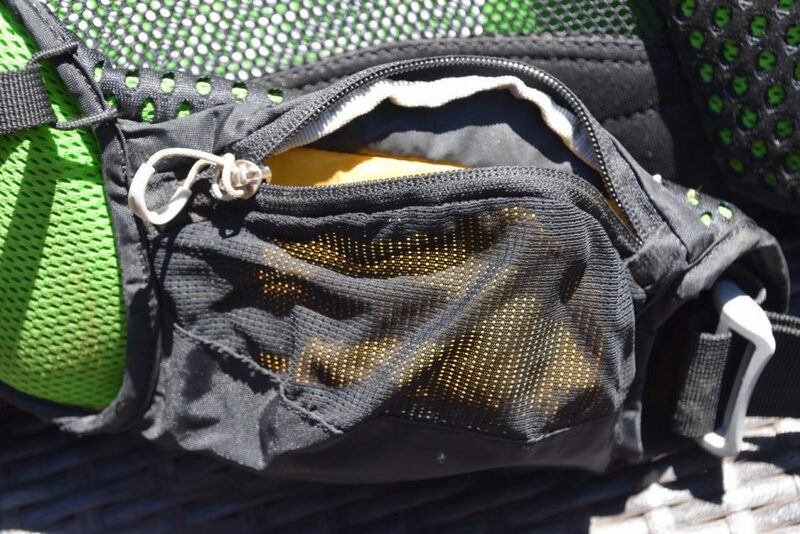 These packs are one of the most popular on the US long trails where you may need to carry bear canisters. The extra pack depth makes a huge difference in how you arrange your wordly passions. I have a small (S) harness but given the size of my sleeping bag, I opted for the 58 Litre capacity. I could possibly have been OK with the 48 Litre but I erred on the conservative side. While I was confident of the fit, once on the Overland Track it took me a few days of adjusting to get the comfort ‘just right’. I was a bit worried about the ‘softer’ shoulder strap padding and hipbelt on the basis that I am prone to bruising if the fit is not right. However, I was very pleasantly surprised and can’t believe how good the pack feels when fitted well. I have the pack cinched up and in much more than for a standard pack so this means I have the harness sitting a little higher than usual. I find this works quite well given the length of my back that the pack seems a little shorter than usual. The pack is not intended for excessively heavy weights – 18 Kg is the recommended upper weight but they will cope with 21kg if they have to, to maintain a degree of comfort keeping the weight 11-15 Kg is preferable. On the other end of the scale, if Exos is carrying too little weight (say less than 4 Kg), then the harness tends to ‘float ’. This is easily sorted by adding more weight. The Exos can cost up to $289AUD but you can pay as little as $224 AUD if you shop around. I use this pack for short and long hikes. It was great for the 6-day Overland Track carry food for the entire trip.